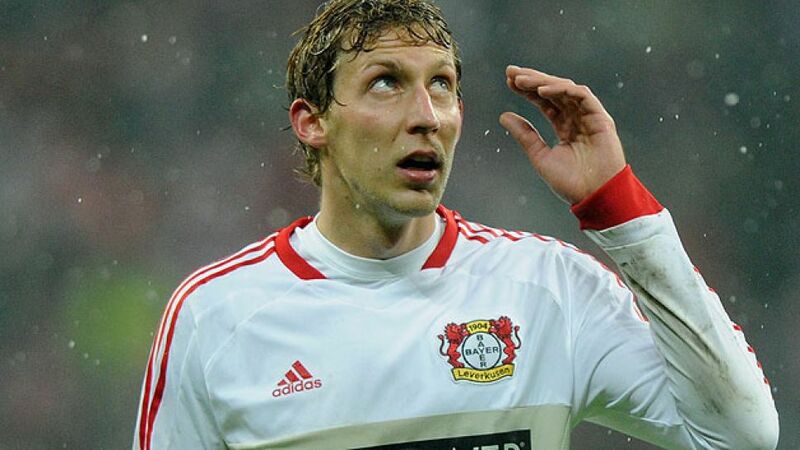 Leverkusen - He has always been an effective, honest and hardworking striker, but it was the feeling of many that Stefan Kießling's goal record was a little too modest for him to be considered one of the Bundesliga greats. That has all changed in the past year, though. The was the German top flight's leading scorer in 2012 with 25 goals in 34 appearances, helping Bayer qualify for Europe at the end of last season, before catapulting them into second place at the half-way stage of the current Bundesliga campaign. Indeed, just seven teams have managed to prevent him from scoring this season – Borussia Dortmund, SC Freiburg, Borussia Mönchengladbach, Fortuna Düsseldorf, Werder Bremen, 1899 Hoffenheim and Greuther Fürth. In Dortmund and Freiburg, he came up against two of the league's meanest defences, but he may consider himself disappointed not to have scored against Bremen, Fürth or Hoffenheim, who have shipped 98 goals between them. However, he did score against FC Bayern Munich in die Werkself's2-1 away win back in October, one of just seven goals the record title-holders have conceded. The result was Bayern's only defeat this season, and provided evidence that the gangly striker has added to his repertoire, the all-important quality of being able to score in the matches that count. The former Nuremberg marksman loves a physical battle. He has been the fourth most-fouled player in the league this season having won 50 free-kicks, but has also been penalised 41 times himself. Combine this with the fact that all twelve of his strikes have come from inside the penalty area and a picture begins to emerge of where he is most effective - when opposition defences drop back towards their own penalty area, allowing him to use his 191cm frame to great effect. It would appear, then, that teams would have more joy keeping Kießling off the scoresheet were they to defend with a higher line. This is a risk in itself, as it provides space for the likes of Andre Schürrle and Gonzalo Castro to exploit. More important than the tactics employed by their opponents is the way Leverkusen have now set out their own stall since the arrival of coaching duo Sami Hyypiä and Sascha Lewandowski, a big factor in Kießling's growing goal-haul. Bayer are a classic counter-attacking team, with a fluid attacking trio who can strike at lightning pace, as was seen in wins against Bayern, FC Augsburg and FC Schalke 04, all games in which Kießling found the net. Furthermore, given Bayer's proficiency on the break, opposition defenders are naturally wary of straying too far up field, retaining a desire to drop gradually deeper. In short, by lining up the way they do, Leverkusen force the opposition towards their own goal. This naturally plays entirely to Kießling's strengths and is something that head coach Hyypiä deserves huge credit for since taking control of the team in March last year. While the speed and movement of Schürrle and Castro may be the main reason why Kießling averages 3.6 chances a game, the fact he is averaging 0.7 goals per game, up from 0.17 in the first half of last season, is entirely down to how much he himself has improved as a goalscorer. Of his 12 league goals, four have come with his right foot, four with his left and four from headers. A hard-worker, a battler and a clinical finisher, he is the archetypal no.9. Being a player who also has not missed a league game since 11 December 2010, he is, unsurprisingly, the club's most indispensible figure and their biggest weapon in the fight to win a trophy this season, even if he continues missing out on a recall to the Germany set-up.